Dumery of Shiphaven was a lad with a love of wizardry--and no magic at all. He dreamed of apprenticing himself to a great wizard, but because he had not even a touch of the talent, it was a dream he could never fulfill. He would never apprentice himself to a great wizard, nor even a meager one; no matter how he loved magic and the magical arts, he would never work with wizards or wizardry. That's what Dumery was beginning to think, anyway--until he spied a great wizard humbling himself before a man selling dragon's blood, the precious stuff that made difficult spells work. If Dumery couldn't be a wizard, he could still become a dragon-hunter--and have all those condescending wizards crawling to him. 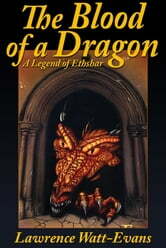 And so Dumery set off on a quest--a quest in search of dragons and dragon-hunters, and ultimately the secret that lay beneath all the wizardry in Ethshar. 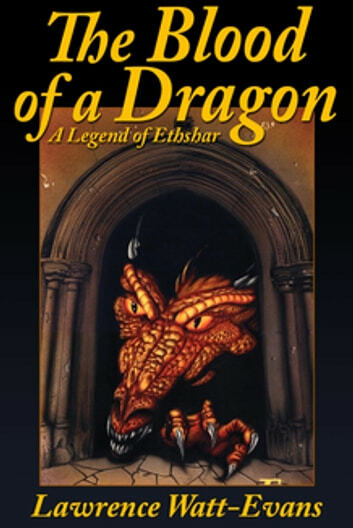 Before he reached its end, he would uncover the terrible mystery of the dragon-hunters--and scheme a scheme that would change the face of Ethsharitic magic forever.